COLUMN DESIGN: Architectural wood columns. Greek Corinthian (Tower of the Winds) capitals and Ionic (Attic) base moldings / plinths. 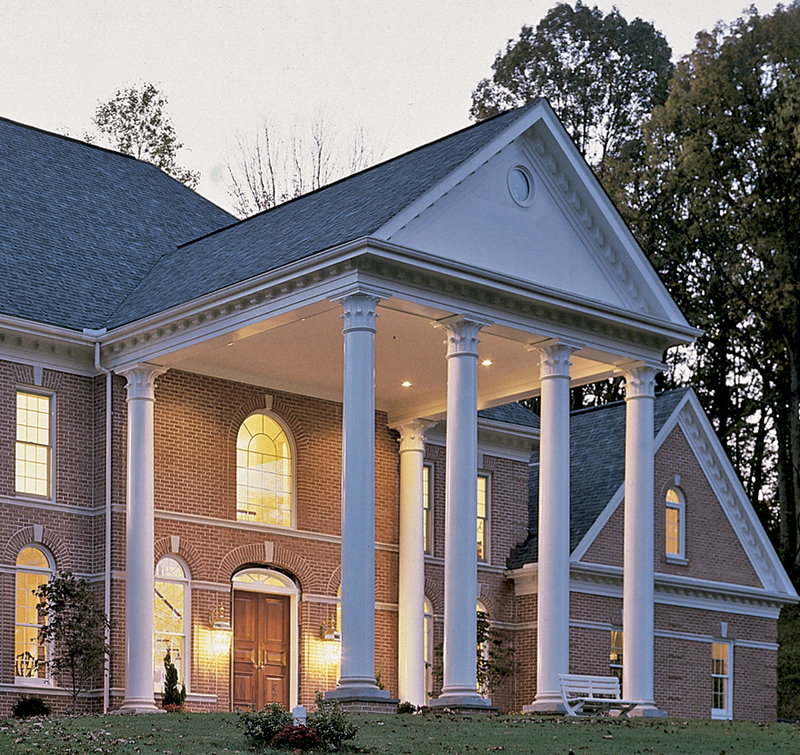 PROJECT COMMENTS: Chadsworth’s columns can be seen at the front entrance of a home that was featured in Baltimore Magazine. The residence features (6) of Chadsworth’s architectural wood columns. The interior of the wood shaft was coated with asphaltum, and the plinth is made of load-bearing aluminum. This entry was posted in Magazine Features and tagged Architectural Wood Columns, baltimore magazine, Chadsworth's 1.800.COLUMNS, greek corinthian columns, large entryway columns, phoenix maryland, tower of the winds columns by Chadsworth Columns. Bookmark the permalink.